When you place your mouse over a link or pictures with links without clicking on it, a box will come up showing you where that link will take you. 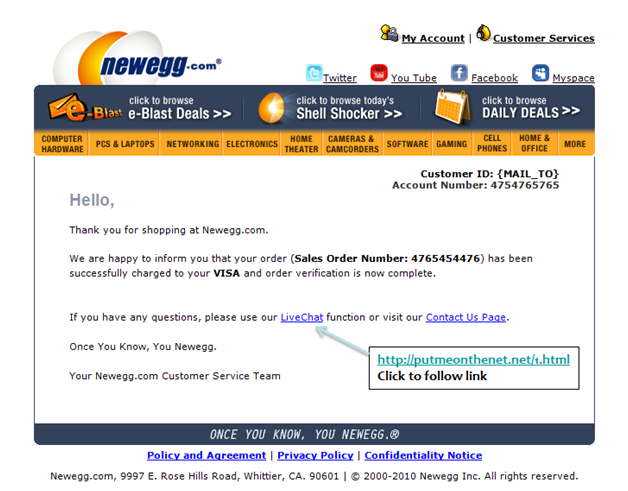 Legitimate Newegg links will always show “http://www.newegg.com”. Please note it is the .newegg.com (including the period before newegg.com) part that is the most important part to look for. If you see cs-newegg.com or newegg.accountmaintenance.com, they are not legitimate Newegg.com sites.